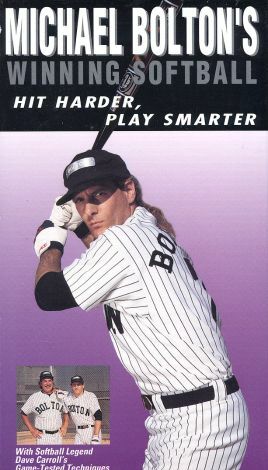 In this video, famous crooner Michael Bolton provides instruction on his other passion, softball. Beginners and experts alike will find much of use here as Michael takes them though the skills and techniques need to succeed on the diamond. Especially of use, may be the sections on hitting. Michael breaks down the basics of a good swing, including batting stance and follow through. Also included are tips from softball legend Dave Carroll. Intermixed with instructional material are interviews with Bolton and footage of him singing the National Anthem at the World Series. Fans of Bolton or those interested in improving their game will find this video useful.